Moving Up From Within, Part 1 – Commercial Dept. There are two basic ways to fill management, supervisory and other key positions in a company. “One way is to bring in someone from outside the company,” says Tom LeDuc, President of LeDuc & Dexter, “It’s also very expensive and there’s also a good chance that they may not stay with the company.” The other way is to promote existing employees into those positions. “You make an investment in the people you believe can do the job.” That investment is the training that is required. “Promoting from within the company also builds employee loyalty,” reminds LeDuc. In LeDuc & Dexter’s commercial department some of the investment has been leveraged. Recently, John Dunn, who was previously a Project Manager and has been with the company for almost 5 years, was promoted to Commercial Superintendent. He took Rich Hoaglund’s position, as Rich moved into the position of Estimator. “Rich and I have shared the responsibility of training John, who is experienced and talented, it’s working out well,” says Bill Zeeb , Commercial Manager at LeDuc & Dexter. Dunn, who did an impressive job as Project Manager at Sears Point , helping to earn him the Employee of the Quarter award, sees his new position of Commercial Superindendent as “a little bit of everything.” Dunn oversees all field employees; reviews job plans, does the dispatching, and meets manpower requirements for each job according to the needs of the various contractors he works with. 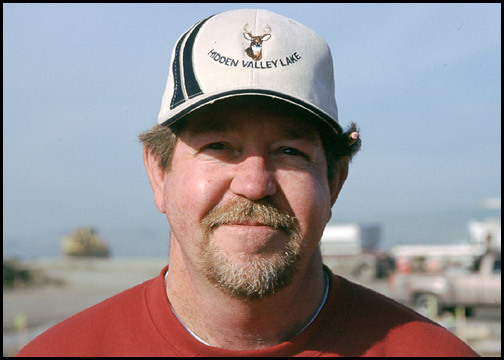 Rich Hoaglund believes he was the first employee hired by LeDuc & Dexter over 19 years ago. ” Tom and Arty hired me over at Tom’s house in his kitchen, I started as a plumber’s helper,” recalls Hoaglund. “I’ve really done about everything here, from sweeping floors to estimating.” Estimating is the new position Hoaglund assumed about 3 months ago. Hoaglund is responsible for all of the job take-offs; the nuts and bolts of plumbing that includes piping, fittings, valves and layouts. “I really like the plumbing industry, it’s what I want to do,” states Hoaglund. Marie Coleman worked at LeDuc & Dexter’s Super Service division for over 4 years before coming to the Commercial Department a year ago as Bill Zeeb’s assistant administrator. Coleman received her training from Bill Zeeb. Her duties include tracking jobs, change orders and pricing. Coleman works closely with Dunn to support jobs with rental equipment needs and she is also responsible for As Build and Completion documents for all commercial jobs. Marie recently visited the Moen Distribution Center in Las Vegas, courtesy of Moen and Pace Supply, along with two other LeDuc & Dexter employees, Purchasing Agent, Tammy Townsend and Kris Kinney of the Residential Department. “We had fun!,” reports Coleman.